Hello, lovelies~ As my blog states that I am a 'product junkie', I'm all about trying out new things, be it skincare or makeup or hair care or anything, really. 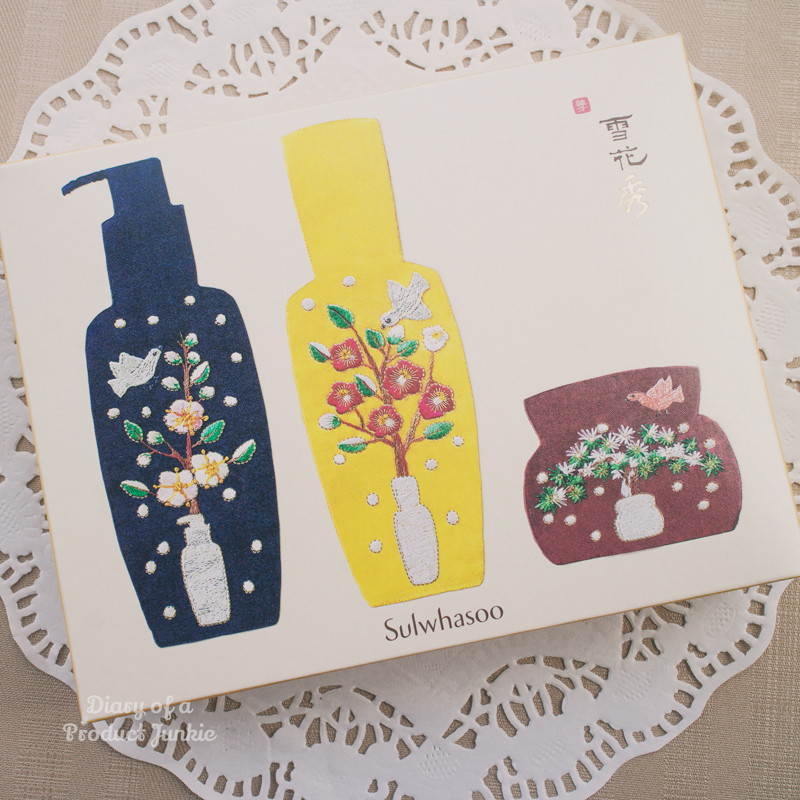 I was offered the opportunity to try out Sulwhasoo Holiday Set, so thank you, Sulwhasoo Indonesia! The holiday set consisted of three items which is a cleansing oil, a first care serum, and a firming cream from the Essential Line. They're packaged in a yellow box that are in collaboration with Yoo-Jin Park, a Korean embroidery artist. Wanna read the in-depth review about each of the product? Just clikc on the links below and it'll take you there straight away!